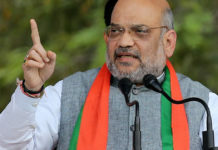 Bhartiya Janta Party president Amit Shah today (Tuesday) kicked off the party’s campaign in West Bengal for the 2019 Lok Sabha elections with a rally in Malda. The event comes days after chief minister Mamata Banerjee hosted a mega opposition gathering in Kolkata on January 19. “The 2019 election is very important for Bengal. It is an election for the establishment of democracy in the state. It will decide whether TMC rule will continue or not.” said Amit Shah while launching scathing attacks on Mamata Banerjee led government. He added said that the saffron party will ‘fight for inches’. 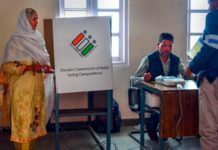 “The election of 2019 will not only determine the future of India but is also very important for West Bengal. The election of 2019 will determine whether this govt of TMC which is killing democracy, will remain in Bengal or will be uprooted” said, Shah, as quoted by ANI. 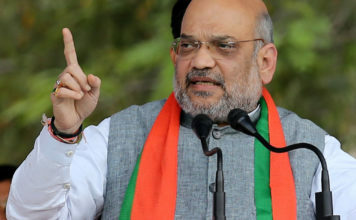 Taking a dig at Grand Alliance, Shah said, “What is this gathbandhan? It’s about power and self-interest. They didn’t chant Vande Mataram and Bharat Mata Ki Jai in Opposition’s Kolkata rally”. He added while addressing the party workers, “I am assuring you, bring BJP and we will not let any infiltrators enter Bengal. But these people love infiltrators, that is why they go against us when we talk about NRC”. The BJP president is slated to address a public meeting at Jhargram on Wednesday and in Birbhum on Thursday. Twitching the sensitive nerve of cross-border migration, the BJP president said: “All persecuted religious minorities from Bangladesh will be given shelter in West Bengal. But the TMC doesn’t want Citizenship (Amendment) Bill or NRC (National Register of Citizenship) to materialise.” reportedly. 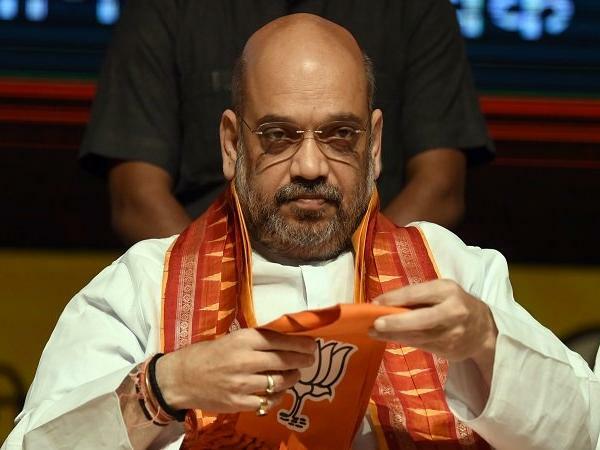 Earlier, a Controversy erupted on Monday after West Bengal Government refused to give Permission denied permission to the state BJP to land party president Amit Shah’s chopper at the Malda airstrip. The government, however, said the helicopter could land at the ground opposite Hotel Golden Park. Shah’s rally comes days after, Supreme Court refused to give a go-ahead for the BJP’s Yatra in West Bengal. The Apex Court, however, said that the BJP state unit can conduct meetings and rallies. 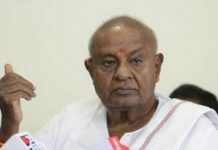 SC said, if BJP comes out with a revised plan of fresh Yatra, that may be considered afresh later.